Model Super ROI - Systematic Automation Inc.
Day after day, decade after decade, the Super ROI will faithfully produce. The utterly simple and modular design allows service and maintenance with basic tools. There are no computers or dedicated control boards to become obsolete or burn out, just the most rugged machine and reliable control system the world has to offer. Made in USA and ready to get to work. This is a machine that will just keep paying for itself over and over again. You’ll be amazed at how we took the complexity out and put the productivity in. 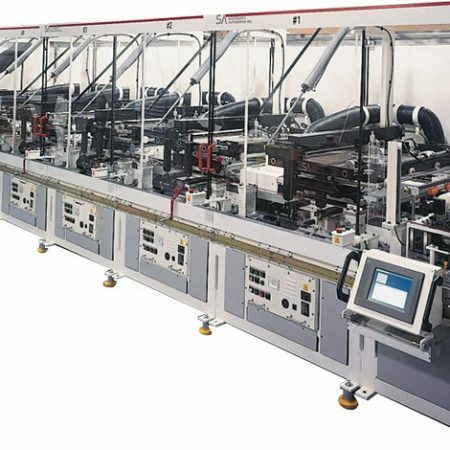 This precision one to six color screen printing machine incorporates Allen-Bradley servo technology. 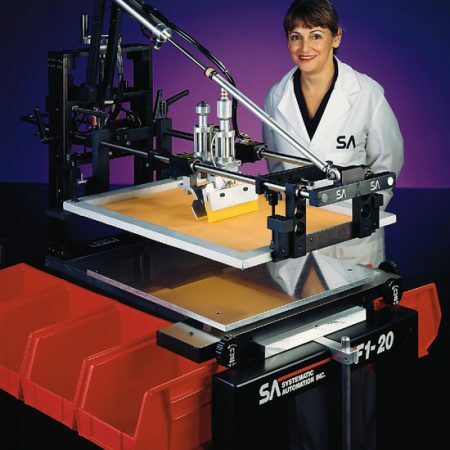 The machine uses the proven Systematic Automation screen printer, and Ultra Light UV system (LED optional). What makes the ROI cost effective and efficient is the simplicity and practicality of its operation. The linear transport of your substrates in one direction, combined with minimal lifting to print and cure, minimizes the substrate handling and systems required for perfect printing. 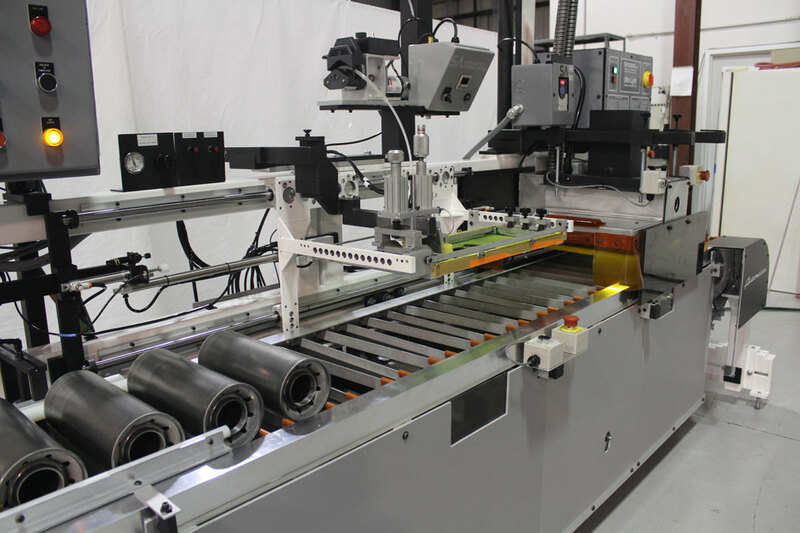 Load your cylindrical products onto the wide loading area by hand (or by robot). The ROI will detect part presence, flame treat (optional), print, UV cure at a powerful 400 WPI, and take off at a rate you will be happy to try to keep up with. Low maintenance lube free drive system. Allen Bradley user friendly touch screen display. Indexing system is overload/crash protected. Adjustable squeegee and flood stroke speed. Operator protection from UV light and mechanical pinch points while maintaining free access to the loading station and screen printers. Designed for continuous duty operation. Precision linear motion bearings on the printer and substrate transport mechanism are rated at over 300 million cycles. Stainless steel printer shafts to resist corrosion. Worldwide availability of spare parts. Single cycle/automatic mode selector switch. Part up/down speed control for print station and UV curing system. 20” (508 mm) stroke print head. All necessary squeegee holders, squeegee material, and flood bars (specify size). Touch screen display with operator control panel, PLC based control,servo drivers and motors. 6” (152 mm) UV Ultra Light system single power 400 WPI (watts per inch) power supply, and UV irradiator. 6” (152 mm) air cooled shutter system. In-Line Printers For Flat Products. The Model SX delivers a completed multi-color print with every cycle. Fast. Accurate. Rugged. Print two to six colors with this three shift production printer for your flat products. 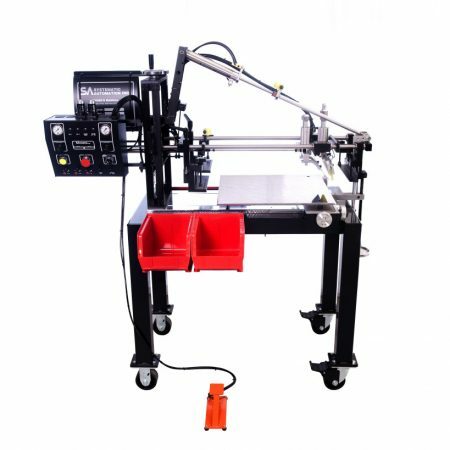 The Model F1 is one of the most popular Systematic Automation screen printing machines. 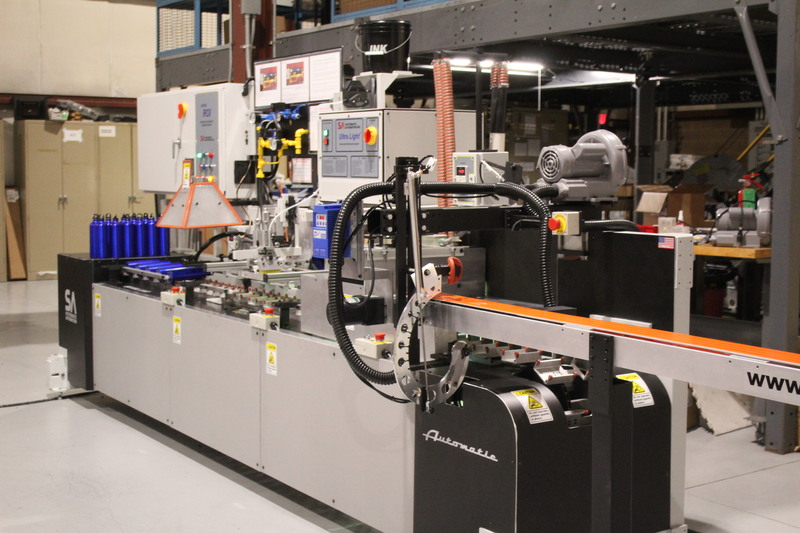 There are no electrical components to go obsolete or burnout, the entire system is pneumatic. 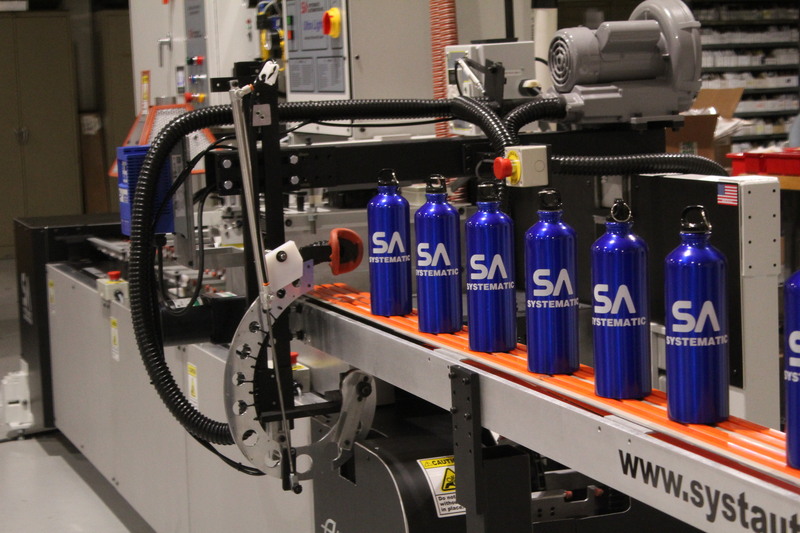 The machine is designed with the operator in mind for maximum simplicity. 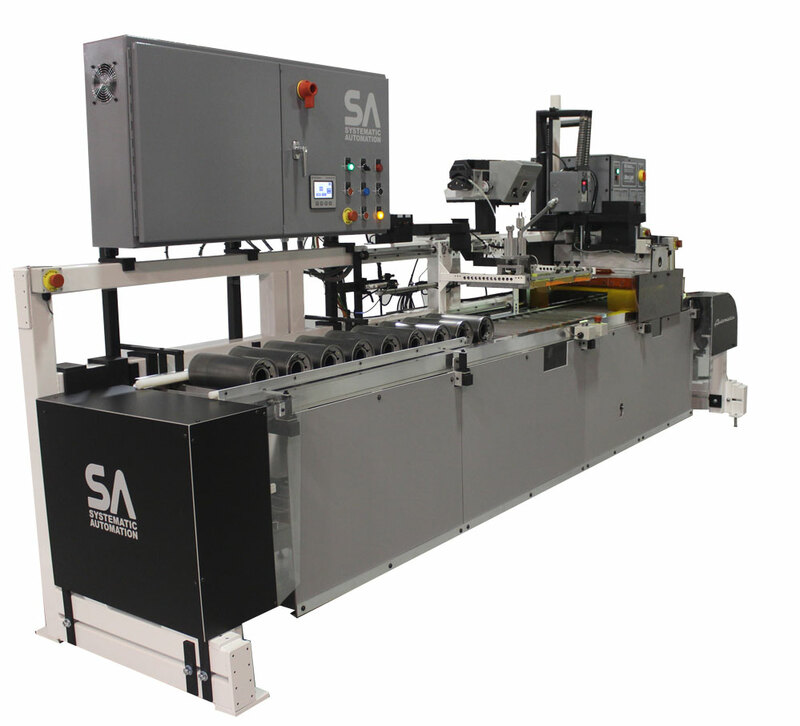 Harmonic Lift Printers For Cylindrical Products. The Keg Screen Printer combines design simplicity, versatility and quality craftsmanship to create a system that will repeatedly get the job done. 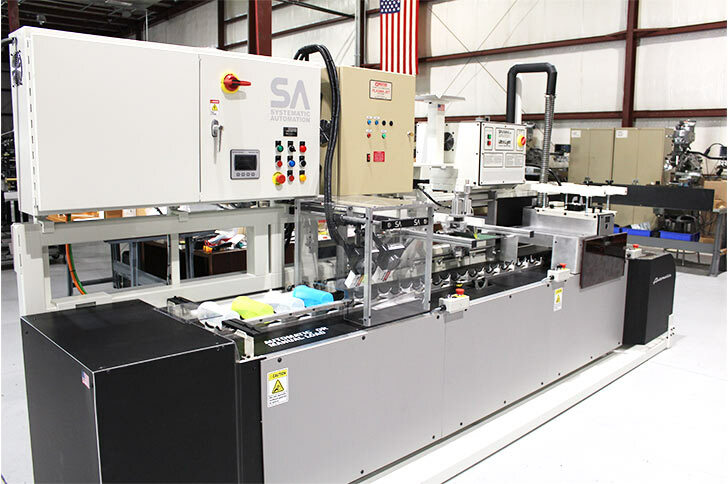 Designed for printing all types of flat & cylindrical products, the Model 810 series is a reliable clamshell type printer with expanded controls.